Sonic Lab will now represent Prism Sound�s entire recording and post production portfolio including its flagship ADA-8XR multichannel converter, its Award-winning range of audio interfaces such as Lyra, Titan and Atlas and all SADiE mastering and editing products including SADiE 6 software. 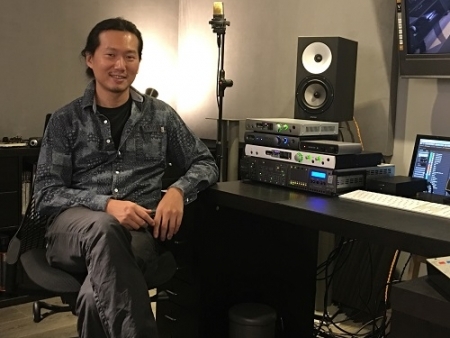 Jemy Lee adds that the Prism Sound brand is already familiar to most senior engineers in Taiwan, but until now they have had few opportunities to experience the company�s products first hand. Founded in 1987, Prism Sound manufacture high-quality professional digital audio equipment for the International broadcast, film, music production, manufacturing and telecommunications sectors. The company's product range includes the Prism ADA-8XR precision 8-channel converter unit, which is regularly used for music and film soundtrack projects by clients such as EMI Abbey Road, BBC, Sony, Lucasfilm and Walt Disney. Prism Sound also manufactures a range of audio test and measurement products, including the de facto dScope Series III audio analyser system.